Miniature quilts designed for 5 inch squares. Finished quilts measure 22 x 22 inches up to 25 x 25 inches. 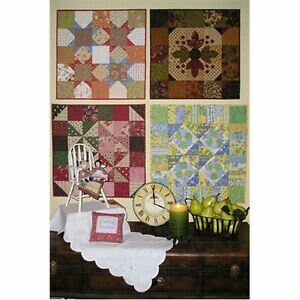 Winter, spring, summer or fall ... 5 inche squares will make them all! What's even better is that one pack of pre-cut 5 inch squares is all that is needed to make any one of these miniature wallhangings.